Award-winning publisher BOOM! 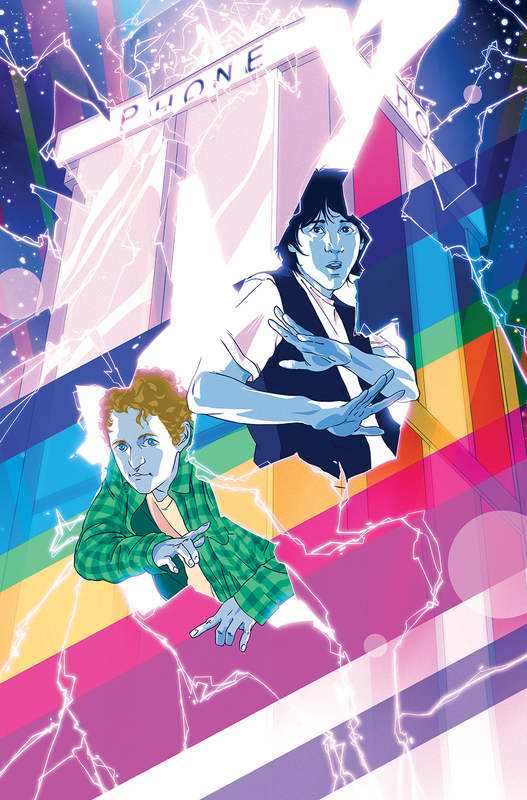 Studios is most honored to announce the excellent return of the most outstanding time-travelers of the ’80s and ’90s in Bill & Ted’s Most Triumphant Return. 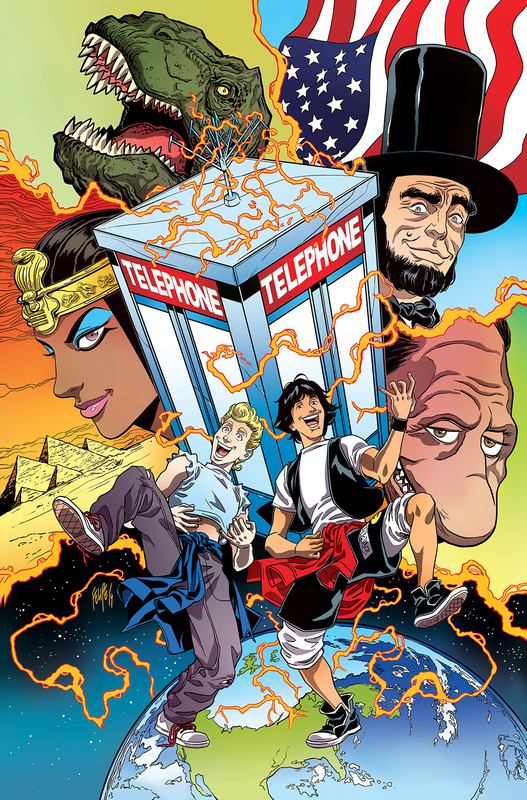 Taking part in Bill & Ted’s non-heinous return to comics is accomplished wordsmith Brian Lynch (TMNT: Microseries, Angel: After the Fall, screenwriter of the Despicable Me spin-off feature film, Minions) and stellar illuminator of fine comics Jerry Gaylord (Fanboys Vs. Zombies). 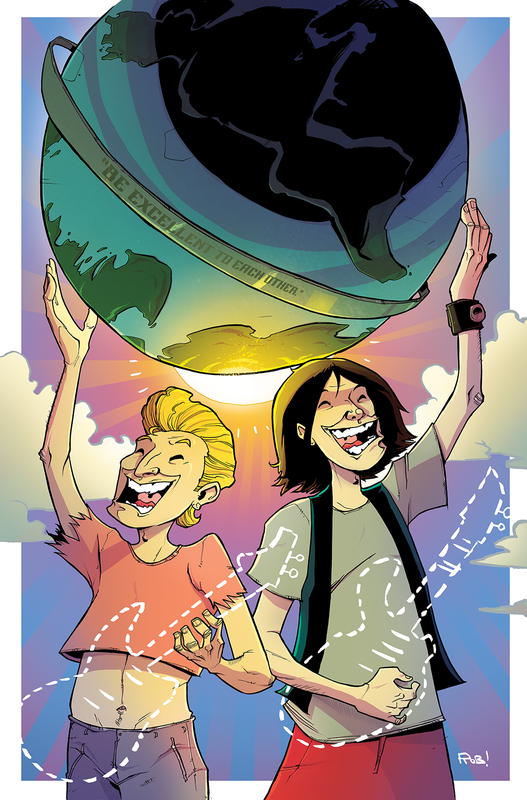 There will also be totally resplendent back-up stories in each issue, including a short by the excellent Ryan North (Adventure Time, The Unbeatable Squirrel Girl) and non-bogus artist dude Ian McGinty (Bravest Warriors, Munchkin) in issue #1.